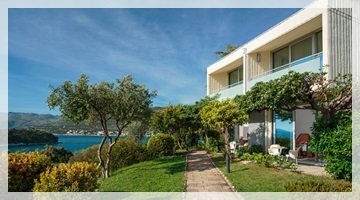 Hotel Argosy Dubrovnik is a part of the Valamar chain. It is set among carefully landscaped gardens of Babin kuk, just 6 km from Dubrovnik's Old Town. This hotel is a great choice for those looking for a peaceful and relaxed holiday. Several beaches are located nearby. Hotel Argosy has 308 comfortable double rooms (balcony & terrace available in most rooms). Guests can choose from rooms with double beds or twin beds. Rooms amenities include air-conditioning & heating, satellite TV, safety deposit box, direct dial phone, mini bar, and hair-dryer. Hotel's restaurant offers rich buffet breakfast and dinner with show cooking. The restaurant has a terrace overlooking the Elaphite islands. The Lobby bar is open from morning until late evening. There is also a pool bar offering drinks and snacks. Hotel Argosy has an outdoor swimming pool with separate section for children. Guests can use parasols and deck chairs free of charge. Several beaches are located withing walking distance from the hotel. Pebble & concrete beach beneath Hotel President is located just 150 m from the hotel. On this beach you will find deck chairs, parasols, changing cabins and showers. There is also a restaurant serving light dishes, ice-cream and fresh drinks. Copacabana beach is located 250 m from Hotel Argosy. This beach is popular among families with small children. On the beach you will find deck chairs and parasols for rent and a beach bar. A floating water park is a new addition to the beach. From the hotel you can easily take a gravel path to Cava beach - great beach equipped with sunbeds and parasols. 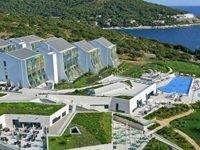 Guests of the hotel can use wellness and spa facilities at nearby Valamar Collection Dubrovnik President Hotel and Valamar Lacroma Hotel. Hotel Argosy offers recreational programs (aerobic, morning gym) during summer season. Mini club Maro with activities for children is available within resort. There are many sport facilities in the vicinity of the hotel (table tennis, mini-golf, tennis courts, walking paths, bowling, basketball court). At the hotel guests can book tickets for local events, arrange transport or book an excursion to surrounding destinations. Wi-Fi Internet is available in all areas and is free of charge. There is an internet corner at the hotel. Hotel Argosy Dubrovnik with its three meeting rooms (up to 80 participants) is a great option for smaller meetings, incentives and events. FROM DUBROVNIK AIRPORT: Take the airport shuttle bus and get off the bus at Pile Gate. From there take city bus No.6 and travel until the last stop. After getting off the bus keep walking down the road (passing Hotel Dubrovnik President) until you reach the hotel. FROM DUBROVNIK PORT/MAIN BUS STATION: Take city bus No.7 and travel until the last stop. From there keep walking down the road (you will pass Hotel President on your left hand side). Hotel Argosy is located at the very end of the road. FROM OLD TOWN: From Pile Gate take either bus No.5 or No.6 and travel until the last stop. From there keep walking for about 5 minutes and you will reach the hotel.